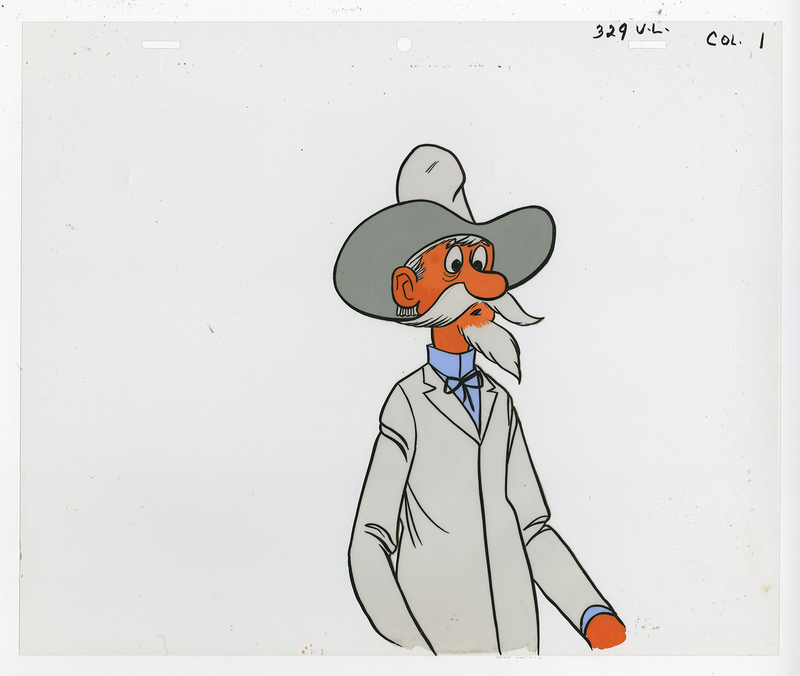 This is an original production cel from the Cambria Studios production of Clutch Cargo (1959). 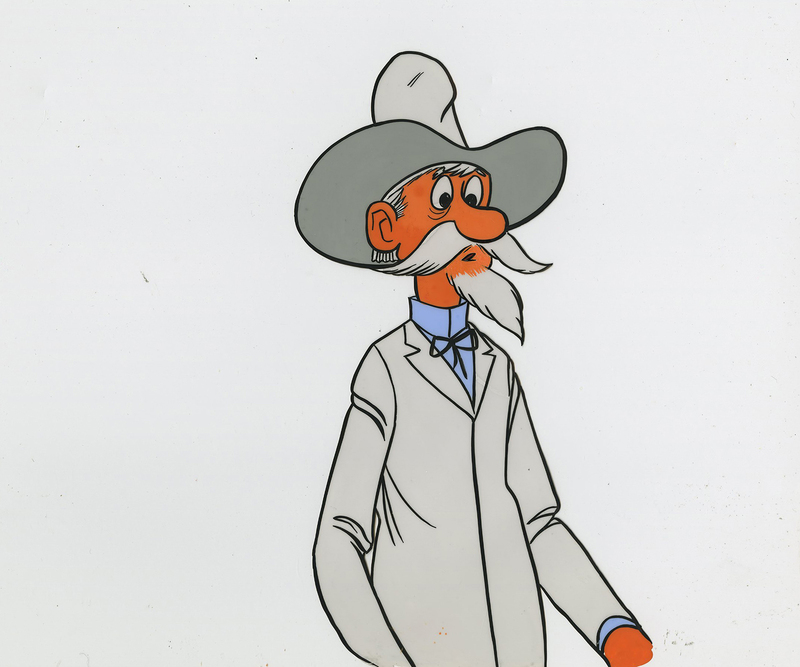 This production cel features a man with a very nice beard and mustache and was created at the studio and used during the production of the series. The overall measurements of the piece are 10.5" x 12.5" and the image itself measures 8.5" x 5".The show used very limited means of animation, so there is not very much artwork that surfaces from this series, and due to the style of the production, many pieces were trimmed to unique sizes at the studio. This cel is in good condition with minimal paint damage.